I came across this article at a site called IQ Matrix and thought it provided a good overview of the principles of framing and re-framing. Framing is a mental structure that is built upon the beliefs you have about yourself, your roles, your circumstances, and about other people. It is a structure you use to ascribe meaning to given circumstances. In other words, the meaning you ascribe to any event is dependent upon how you frame it in your mind. As such, your frames shape how you see the world, how you see yourself, how you view others, and how you interpret your life. Frames can be of a positive or of a negative nature; they can also be within your control or out of your control. As such, they are either helpful within the context you are using them, or they are unhelpful. They either expand your opportunities and the possibilities of the situation, or they limit your options moving forward. They are therefore appropriate or inappropriate, good or bad depending on the objectives you have in mind. When you decide to work on a project you set a scope or frame for that project so that everyone knows what is included and excluded. Everyone understands what is required to get the job done successfully and what they, therefore, need to focus on in order to get their part of the project completed. In the same way, the frames you use on a daily basis provide a context for your thoughts, decisions, attitudes, and actions. They help guide the direction of your thoughts to help you accomplish your desired outcomes. Thus, your actions are guided by how you frame events and circumstances; and how you frame things is dependent upon your preferences, attitudes, and biases. You will for instance use frames to handle feedback and criticism. You will use them to solve problems, to get a better understanding of the long-term consequences of your decisions and actions, to connect unrelated events and circumstances, and to make more sense of the world you live in. These frames allow you to gather unique understandings of your life experiences. And it is these understandings that shape what you will do and how you will do things moving forward. The frames of reference you use collaborate with your beliefs and values. You will, therefore, frame things in a certain way that corresponds with what you believe and value most in life — irrelevant of whether your beliefs are helpful or unhelpful. This basically means that every frame you make is linked to an underlying belief and/or assumption that is implied by your thoughts. In this way, your frames provide you with a context in which you can assess your progress. This is helpful, but at the same time can be unhelpful. It is helpful because it allows you to unlock new opportunities and explore other possibilities that might be advantageous. However, it is unhelpful if your frames are built upon your limiting belief systems. In such instances — and without much objective thought — you might unconsciously be setting boundaries and putting limitations on yourself regarding what you can or can’t do; and this, therefore, limits your perspective, opportunities and the possibilities that lay before you. There is, however, a positive intention behind all your thoughts. Therefore all the frames of reference you use are there to help you in some way, or at least in some specific context. This, of course, doesn’t mean that these thoughts are right or that they are acceptable, however, it does mean that they have some value, and therefore can be used in a positive way. But more about that later. Given all this, it makes perfect sense that your frames of reference would provide you with a “focus” on your day-to-day activities. These activities will either support your goals, or they will hinder your progress. It will all depend on the belief systems that are influencing your behaviors, thoughts, decisions, perceptions, and emotions. If these beliefs are helpful, then you have nothing to worry about. However, if they are unhelpful then you will struggle to realize your desired outcomes. What is Re-framing and How Does it Work? Re-framing is a linguistic tool used to consciously change your limiting frames to help support your desired goals, beliefs and behaviors. Reframing does this by interrupting your old unhelpful thought patterns with new interpretations and perspectives of reality that are more helpful and supportive of your desired objectives. In other words, re-framing helps you put events and circumstances into a different context that is more favorable. It’s as if you’re changing the meaning of an event or experience in order to put yourself into a more positive and resourceful state-of-mind. Therefore instead of sabotaging yourself, you are adopting more useful ways of thinking and doing things that will help you to potentially overcome your personal limitations, boundaries, phobias, fears and even trauma. 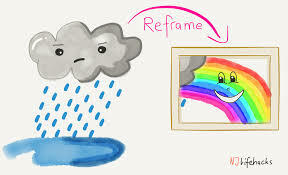 Re-framing is very much like changing a picture in a picture frame. The frame hasn’t changed, however, the picture within the frame is no different. In other words, the situation hasn’t changed, however, your view of the situation is now different then what it was before. You are therefore not changing the situation, but rather changing your view of the situation in a more helpful and optimal way. What all this implies is that events and circumstances do not have inherent meaning. 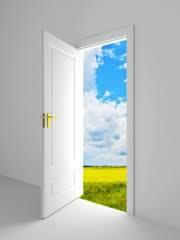 You rather assign meaning to events and circumstances based on your interpretations and perspectives. Therefore, no matter what horrible things might happen to you, they are only horrible because you interpret them that way. Interpreting things another way will assign a different meaning to these events and circumstances. And as you assign a different meaning to something, you perceive the situation in a different light, and as a result, you feel differently about it. Therefore a negative event can be interpreted in a positive way, and instead of feeling bad about it, you end up feeling excited and inspired. When you change the frame of your experience, this influences how you tend to perceive, interpret and react to events and circumstances. In other words, reframing helps you experience your actions and the impact of your attitudes and beliefs in a different way. It helps you experience things from a different perspective or frame of reference that can be more advantageous and helpful. As such, you become more resourceful and can, therefore, make better and more optimal decisions moving forward. Re-framing isn’t a new way of thinking, however, it can promote a better way of thinking in various circumstances where you need a different frame of reference to help you overcome your problems in creative ways. As a matter a fact, re-framing is a significant part of life. Whether you unconsciously re-frame things, or you hear other people re-frame things, it is undoubtedly something that affects you on a daily basis. For instance, you might hear a journalist put a negative spin on something positive in order to get the story on the front page of a newspaper. Or you hear a comedian take you from one frame of reference to another frame of reference while telling a joke. Or an inventor takes something ordinary and turns it into something useful. These “re-frames” are all around us; they are all around you. Even though many re-frames often put a positive spin on things, it’s important to note that re-framing isn’t about pretending that everything is wonderful, perfect and positive. It’s rather about providing you with more varied ways of interpreting your problems to help you expand the possibilities to find better solutions and paths moving forward. When confronted with a limiting state-of-mind, a behavior, or a problem, use the following process to help you re-frame your circumstances, thereby putting yourself in a more resourceful, empowering and helpful frame-of-mind. What problem am I facing? What unhelpful behavior am I indulging in? What limiting state-of-mind am I experiencing? As you ask yourself these questions, keep in mind all the negative thoughts that are currently occupying the space between your ears. These thoughts can come in the form of limiting questions you ask yourself, pessimistic self-talk, and might even manifest as uncomfortable feelings. Your thoughts will provide you with insights as to how you tend to frame your circumstances. These frames are the things that are limiting your perspective of the situation, the behavior, or the state-of-mind. These are the frames that must be successfully “reframed” in more optimal and helpful ways that support the goals and objectives you are wanting to achieve. 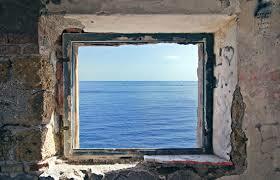 When you frame things a certain way, you are at that moment making assumptions about things. 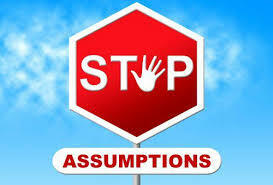 And as you know, assumptions are only your personal opinions and perspectives. However, they can also most certainly be linked to your limiting beliefs. Either way they have no basis in reality, otherwise, they would be called “facts”. What is valuable and useful about this assumption I am making? What is useful about how I’m currently framing things? What is unhelpful about the assumption I am making? What is unhelpful about the way I’m framing things? Is there any evidence that goes against this assumption? Am I using any rules that could be challenged? How else could I interpret this experience? What else could this possibly mean? How could that be helpful? At the conclusion of this questioning process, you should have built up enough of a case against the assumptions and frames you are making. 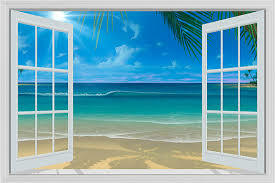 As such, you are now ready to begin re-framing things in ways that will help you to overcome this problem successfully. Your objective here is to focus on different methods of thinking about the problem. And this basically comes down to your ability to re-frame things in certain ways that will help you achieve your desired outcomes. Is this really a problem, or is it a problem because of the way I feel about this situation? How would I deal with this situation if I were a scientist? Lawyer? Child? Man? Woman? Harry Potter? What would someone I admire do in this situation? What if this problem was part of a cartoon? How would the cartoon characters solve this problem? How would I approach this situation if I only had a day to solve it? How about an hour? How about a minute? What is the opposite to this problem? How is this of value? What would other people do in my situation to help resolve this problem? What advice would I give someone else who is experiencing this problem? What would I do right now if I knew I couldn’t fail? What is funny about this problem that I hadn’t noticed before? What if I knew what to do right now? What would I do? What’s the best way to accomplish this? These are all typical questions you can ask yourself that will help you to re-frame the situation you are working through. Some of these questions will be more applicable to some situations and may not be relevant in other situations. You must, therefore, pick and choose which questions are most helpful to help you shift your perspective about the problem you are facing. If the re-framing process worked, then you shouldn’t have any trouble completing these statements. Moreover, these statements should provide you with the impetus you need to make positive changes in your life and circumstances. It’s not what happens to me that matters, it’s rather how I interpret things and how I decide to act on those interpretations that makes all the difference in the end.